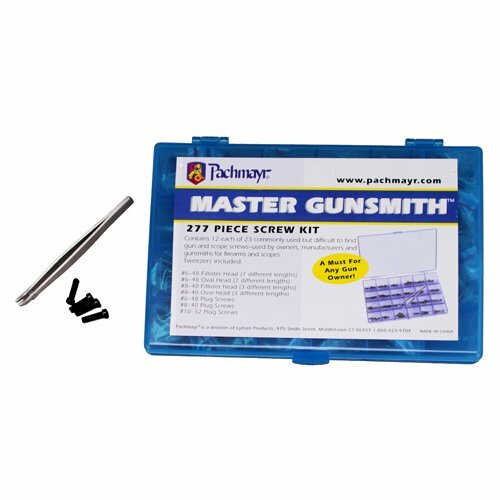 Save 1% on the Pachmayr 03054 Screw Kit, 277Piece, Firearm Screw Kit by Pachmayr at Freedom from Government. MPN: 03054. Hurry! Limited time offer. Offer valid only while supplies last. This screw kit contains 12 each of 23 different screws including fillister head, oval head and plug screws in several different lengths and threads. This screw kit contains 12 each of 23 different screws including fillister head, oval head and plug screws in several different lengths and threads. All are commonly used for firearms and scopes. Set also includes tweezers for easy selection. Screws are stored in a 24-compartment plastic case.